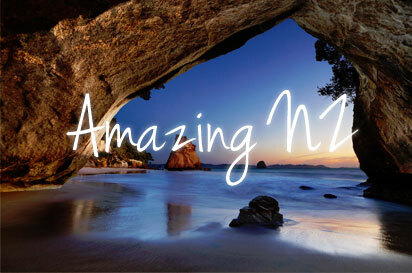 So many visitors to New Zealand go south from Auckland as soon as they arrive. These people not only miss the core of European history in the Aotearoa, but some wonderfully scenic countryside as well. There are two main routes from Auckland to the northernmost point of New Zealand- Cape Reinga. Put together they make an impressive circle route around the North. Head west out of Auckland on SH 16 towards the Kumeu wine country, on through Helensville and nip off for a dip in the hot pools at Parakai. Drive north through Kaukapakapa up to Wellsford, through the green countryside. You drive right past the Kaipara Coast Plant Centre and Sculpture Gardens, so stop for a look. Rejoin SH1 at Wellsford and follow through to the base of the Brynderwyn Hills, where you follow left onto SH 16 again. The first town is Matakohe, home of the Kauri Museum, which is well worth a visit to learn all about the iconic Kauri tree. Follow around through the farmlands of Ruawai, up the Wairoa River to Dargaville, home of the Kumara. Call in at the Kumara Box to learn about this tasty vegetable. Just north again are the lovely freshwater, sand-dune Kai Iwi Lakes, and then you are in Kauri Country. Te Matua Ngahere (Father of the Forest), and the Four Sisters are big, but Tane Mahuta (Lord of the Forest) in the Waipoua Forest is huge. This is a great place to see Kiwis in the wild at night, near Rawene. Catch the Kohukohu Ferry, and follow through directly north through the forest country of Mungamuka to Kaitaia. Next stop, Awanui has the Gumdiggers Park and The Kauri Kingdom, both worth a visit. It is possible to drive up to Cape Reinga via 90 Mile Beach, but it may be easier to take a bus from Kaitaia, as rental cars are not permitted on the beach and the bus drivers are experts at driving in the quicksand and on the beach. They also offer sandboarding down the dunes. Eventually, you get to the spiritual Cape Reinga and see the meeting of the Waters. Next, find Opononi, and see Opo, the friendly dolphin's statue, and then take a peek at the Wairere Boulders. Take SH 1 north through to Silverdale, on past Orewa, a beach town and onto Waiwera, where there are thermal hot pools. Head on up to Warkworth, where a side trip to Goat Island Marine Reserve is worthwhile. Sheep World is also interesting. Drive on through Wellsford, a great place to stop for food. When you reach Kaiwaka, the Little Town of Lights, turn right and drive to Mangawhai, a beautiful beach community. Through the bushland to the surf beaches of Waipu, which is a town of Scottish descent, where Highland Games are held at New Year. There are Caves to explore here. Just north is Ruakaka, where the Marsden Point Oil Refinery sits on the Whangarei Harbour. The Visitors Centre at the Refinery is very informative. Whangarei itself has Falls, Kauri bush walks, and Caves and a lovely drive to Whangarei Heads and Mt Manaia. Take the Tutukaka road and see the lovely coast as you drive up through Matapouri to Whanganaki. A quick nip inland to the turnoff at Whakapara and back to the coast again, through Helena Bay, and Oakura to the historic town of Russell. See Pompallier House, Russell Church and the Flagstaff, and then catch a ferry across to Opua. Take a side trip to Kawakawa to see the Hundertwasser toilets and the Waiomio Caves. Back through Opua to Paihia where all the boats depart to explore the Bay of Islands - Jet boats, the Cream trip to The Hole in the Rock and Deep-Sea fishermen out to try their luck. Visit the Treaty House at Waitangi and try a hangi. See the Haruru Falls as you drive through to Kerikeri. Here you will find the oldest buildings in New Zealand - the Kemp House and the Stone Store, plus Rewa's Maori Village. North again, through Kaeo, and past the coastal towns of Whangaroa and Mangonui with its famous Fish and Chips. Head north past Doubtless Bay and the Karikari Peninsula. Finally, you arrive at Awanui as in the above route. 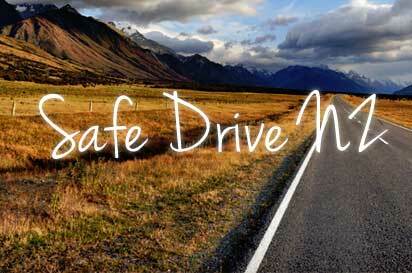 Bargain Rental Cars is proud in offering the best deals and the best customer service in New Zealand. If you have any questions don't hesitate to contact us on 0800 566 701 or info@bargainrentals.co.nz. You also can get a free/no-obligation quote on our website and also book your car online.